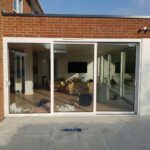 Our cutting-edge Schuco lift and slide doors provide one of the most complete solutions for your patio and garden area. Schuco sliding doors come with some of the slimmest sight lines on the market, the best possible views from a door and exceptional performance all year round. 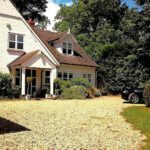 In this article, we provide information about our Schuco lift and slide doors and what you can expect from them. Schuco Lift and Slide Doors ASS70 HI. The Schuco ASS70 HI is one of the most popular aluminium lift and slide patio doors among premium brands. 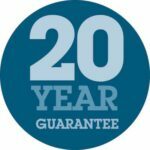 The ASS70 stands for Aluminium Sliding Systems 70mm, which is the profile size. The HI stands for High Insulation representing the excellent thermal performance this door provides with quality glass units. Schuco is one of the best brands of aluminium doors in the UK market offering German engineering and design as well as impressive product capability. 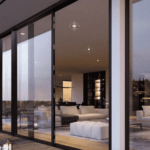 Not only are Schuco ASS70 HI sliding doors ideal for any sliding door requirement, but Schuco doors also meet most requirements in high-end projects, architect designed homes and bespoke projects calling for special door functions and features. Schuco lift and slide doors come in two, three or four panel designs with the latest lift and slide technology. The lift and slide operation works by using the large door handle to raise the sliding panel up and away from the frame, ready to slide smoothly to its desired position. The highly engineered Schuco door handle allows any door, large or small to open and glide effortlessly. Key Features of Schuco lift and slide patio doors. Schuco ASS70 HI sliding patio doors come with some features that make them stand out from other sliding doors. The ‘interlock’ is the central mullion on a two panel door or the two vertical mullions on a three panel sliding door. This critical area of any sliding door needs to be slim to provide the least amount of visible aluminium and the maximum amount of glass. 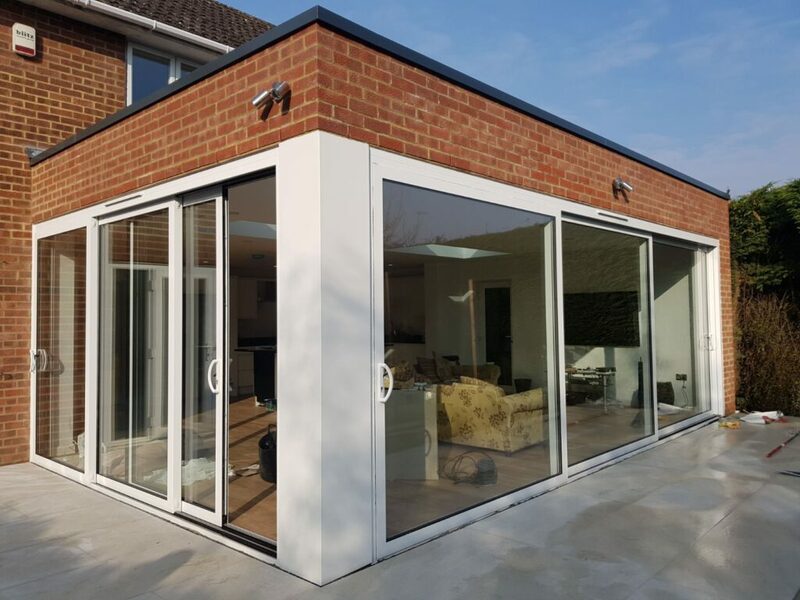 With Schuco lift and slide doors, there is a choice of a standardised 108mm interlock or the slimline 48mm which is our preferred option for your home. One of the stand-out features of Schuco lift and slide doors is their impressive size. While most sliding doors are designed around a 2.2metre height and average 1.5metre width, a Schuco door is possible with 3metre widths and heights. Few sliding doors on the market provide the creation of large sliding door openings, impressive glass panels and excellent views. Slim frames and impressive proportions. The outer frame on any sliding door is thicker than bifolding doors or hinged doors. With the Schuco ASS70 sliding door, the typical dimension is 200mm. This dimension ensures Schuco sliding doors are ideal for installation into most types of building fabrics, whether to replace old sliding doors or into new build openings. Slimline profile faces complement the frame depth. As you look at your new Schuco sliding door, from the inside or outside, you enjoy small aluminium faces to let the maximum amount of light into your home. Maximum use of your space. When designing a sliding door, it is essential to make the most of the available space. 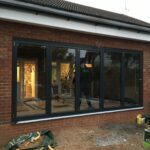 Bifolding doors have the advantage of folding in one direction, but sliding doors provide less visible aluminium and better views. With a Schuco lift and slide patio door, there is a choice of double or triple sliding tracks. The advantage of these tracks is the sliding panels all move to one side allowing you to make the most of the available opening. Another feature of Schuco sliding doors that you won’t find on other doors are their extensive options for personalisation. Apart from the vast choice of colours, Schuco sliding doors offer other enhancements. Optional sash bars, glazing bead choices and enhanced hardware. Comfort Technology in the form of manual or automatic sliding. Optional ‘Panorama’ doors for even thinner sight lines. View the latest Schuco ASS70 Lift and Slide Door. Contact us today to arrange a viewing of the high-tech Schuco lift and slide doors as well as our range of Schuco bifolding doors for your home improvement or construction project.